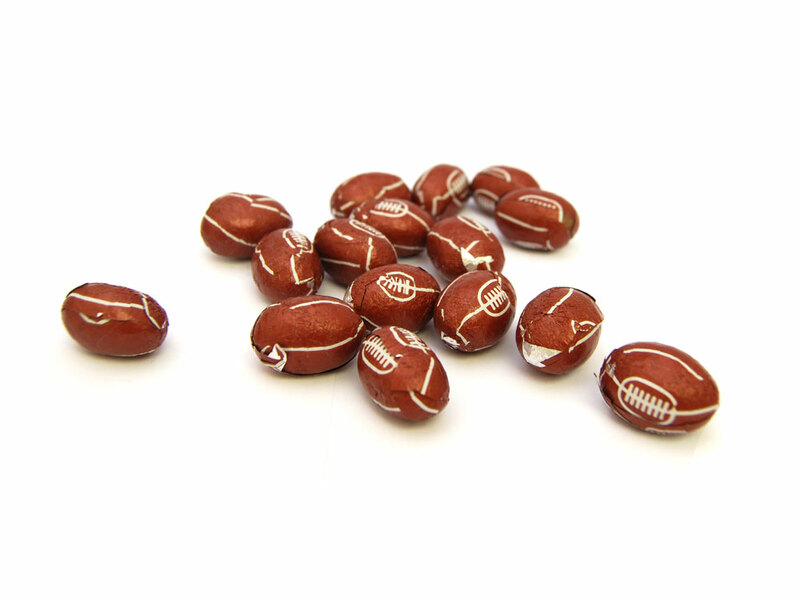 Love the great game of rugby then these milk chocolate rugby balls are just the thing for you. 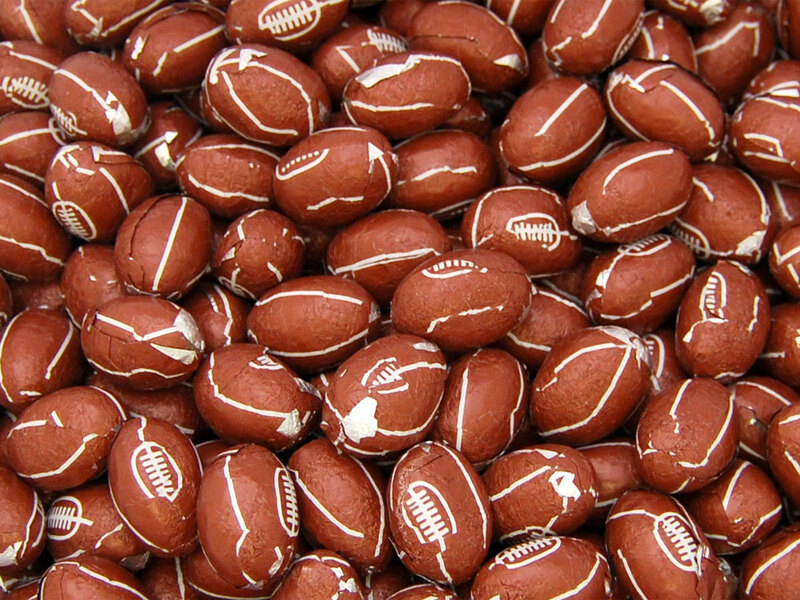 These foil wrapped chocolate rugby balls are delicious and perfect for the sports lover in the family. Milk Chocolate (100%), (Sugar, Cocoa Butter, Skimmed Milk Powder, Cocoa Mass, Whey Powder (Milk), Lactose (Milk), Milk (Fat), Emulsifier: Soya Lecithin; Natural Flavouring). Milk Chocolate Contains Milk Solids 25% Minimum, Cocoa Solids 14% Minimum. Allergen Advice: Highlighted Bold in ingredients list. Product includes, Soya & Milk derivatives. Made in a factory that handles nuts.